One of summer’s delights is to leave here and travel there. 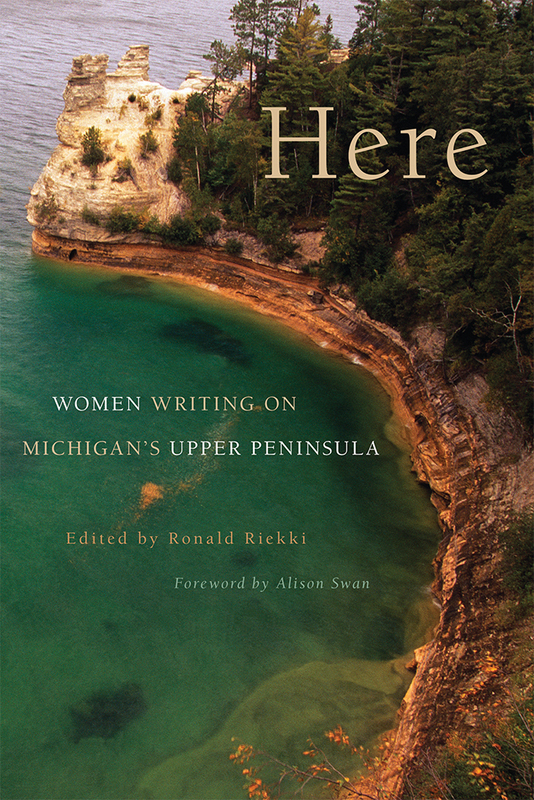 The thirty-six authors whose poems and stories are collected in “Here: Women Writing on Michigan’s Upper Peninsula” fully dwell in the very diverse personal, natural and cultural landscapes of the Upper Peninsula, and they will guide you through this undiscovered country. If your idea of the Upper Peninsula is a cabin in the woods, you will certainly find lakes and streams and trees in Ronald Riekki’s anthology, but be prepared to visit cow barns and technical colleges, cozy trailers and stripped living rooms, barrooms and gas stations. The voices of “Here” are diverse in culture, time and class. Native American voices include poetry and fiction of the early nineteenth century from Bame-wa-wa-ge-zhik-aquay (Jane Johnston Schoolcraft) and modern poets and writers Sally Brunk, Clara Corbett and April Lindala. We hear from transplants, as in Roxane Gay’s “North Country,” and the descendants of European voyageurs, miners and lumbermen; Yoopers, returnees and tourists. Lake Superior herself sings in Catie Rosemurgy’s “Lake Superior Confesses to the Shore of Keweenaw Bay.” Seasons and cultures structure the anthology; each seasonal section is subtitled with a different culture’s word for that season: Ojibwe Niibin /Summer, French Automne/Fall, Finnish Talvi /Winter, and Italian Primavera /Spring, and ending again in summer. Roxane Gay, Bonnie Jo Campbell and April Lindala read from “Here” on July 16 at Women & Children First, 5233 North Clark, (773)769-9299, 7:30pm.